FOIBOS BOOKS agency declared this year as The Year of J. Plečnik and P. Janák 2012 - due to two important anniversaries - birth of Jože Plečnik /140 years ago/ and Pavel Janák /130 years ago/. 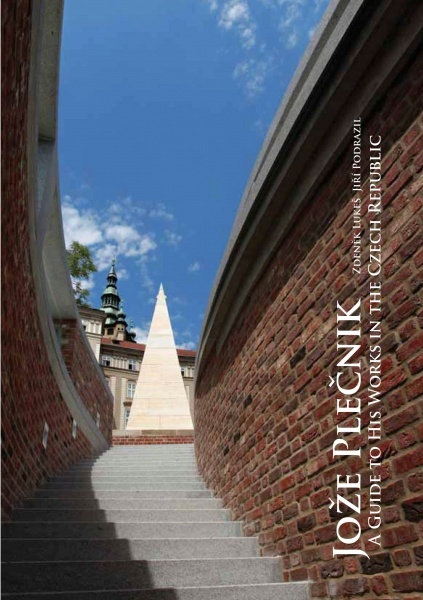 The agency in cooperation with the Administration of the Prague Castle is publishing at the occasion of the anniversary a book by Zdeněk Lukeš Jože Plečnik - A guide to the buildings in the Czech Republic. The Guide to the buildings by the well-known Slovenian architekt Jože Plečnik /1872-1957/ introduces in the texts and contemporary photos by Jiří Podrazil his timeless work for the Prague Castle and the Lány Castle including some less known or not published interventions. These works were done in the 20s and early 30s of the last century in cooperation with T. G. Masaryk. The book even shows his next buildings - Kostel Nejsvětějšího Srdce Páně /The Church of The Holliest Heart of the Lord in Vinohrady/ or less known earlier realisations. The Guide is an extended and supplemented version of the book published at the occasion of the exhibition inspired by Plečnik in the Prague Castle in 1996 and sold out within a few months.